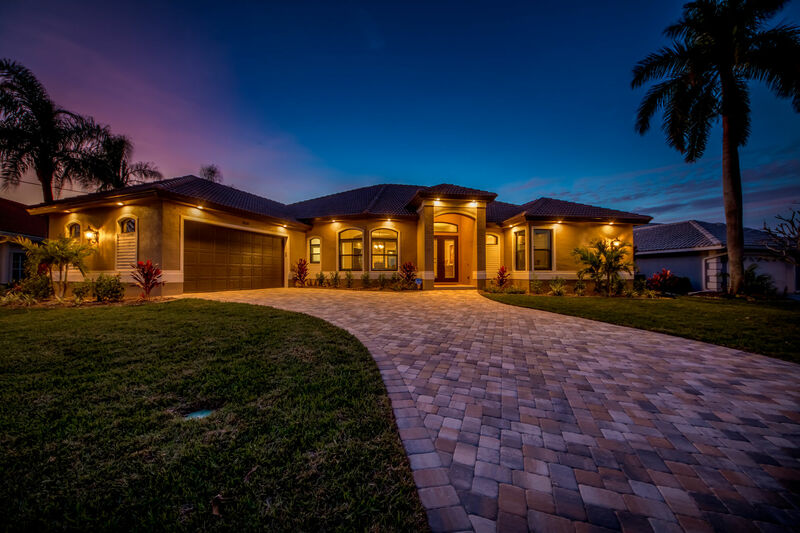 HURRY - BRAND NEW CONSTRUCTION - PEAK DATES 2019 AVAILABLE! 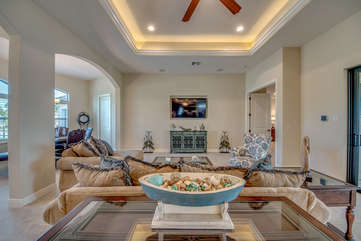 Do not miss your opportunity to stay in this brand new home offering 3 bedrooms and 3 baths along with a heated pool and spa. 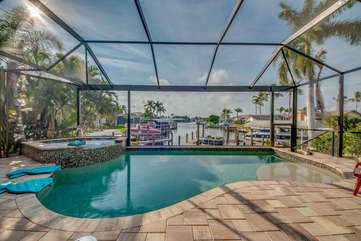 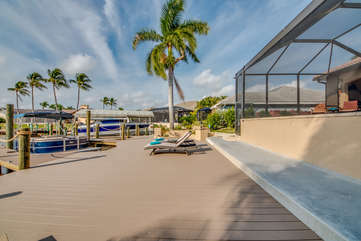 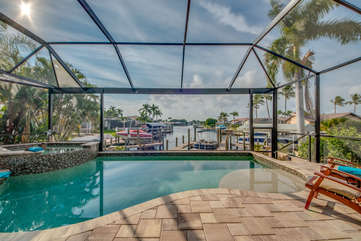 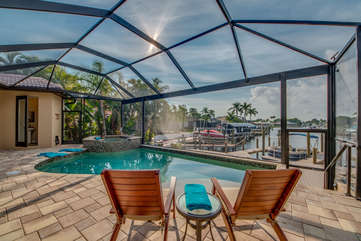 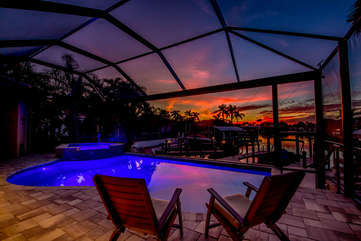 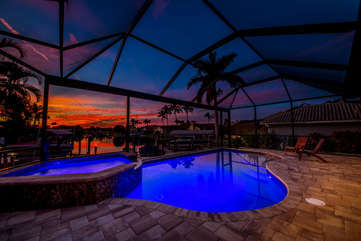 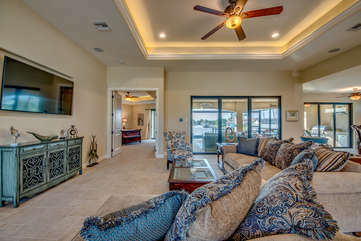 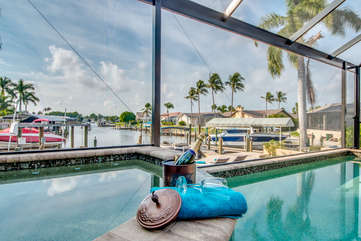 This upscale home is new to the vacation rental market and is ready to welcome guests to enjoy its impressive decor, upgraded fixtures, lighting and tile work, plus all the special touches only a home of this caliber can deliver. The western rear exposure will offer amazing sunsets at night and warm sunshine during the day as you relax in the spacious pool area. 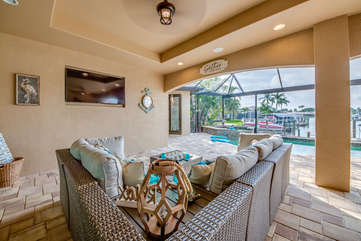 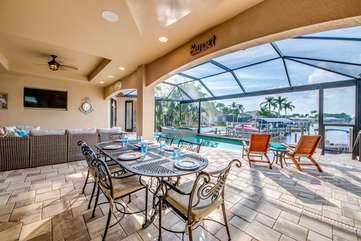 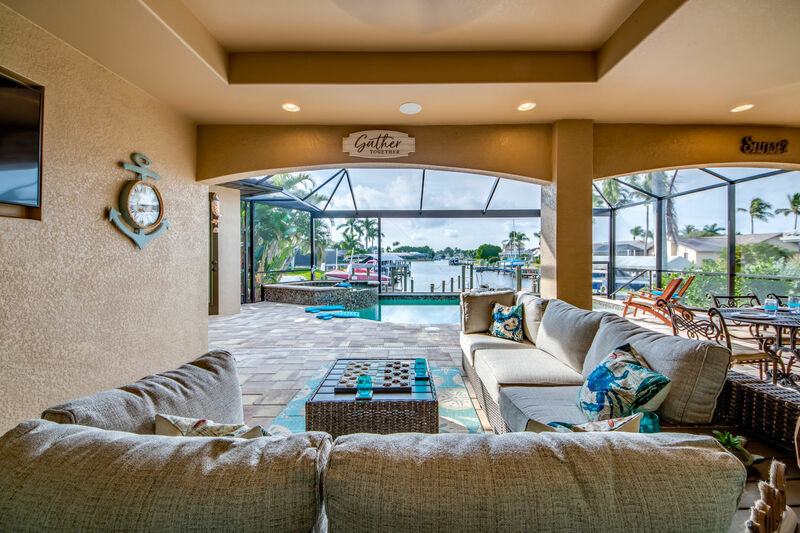 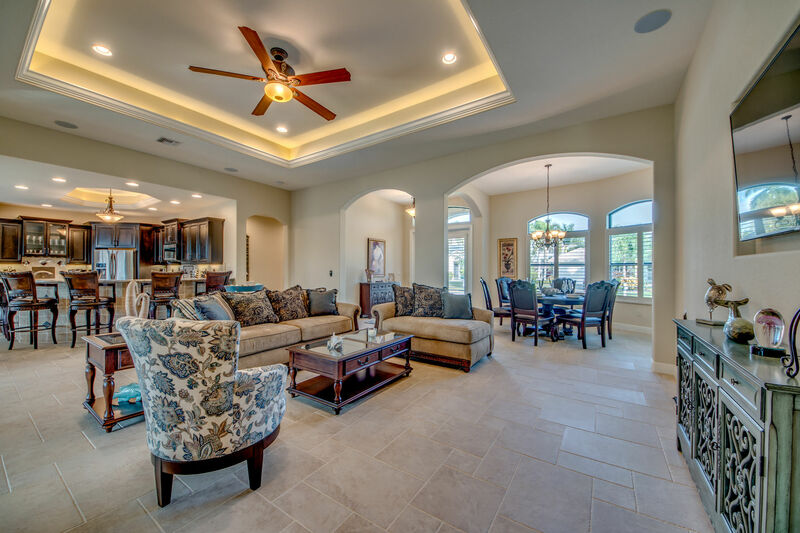 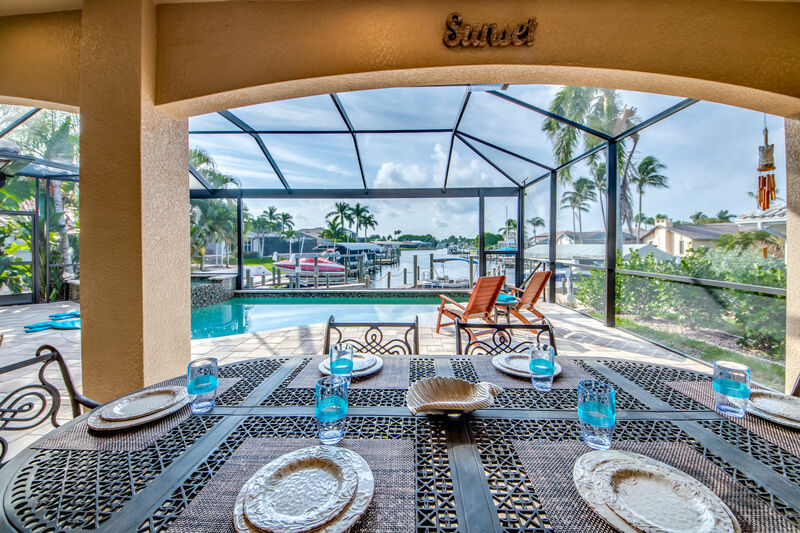 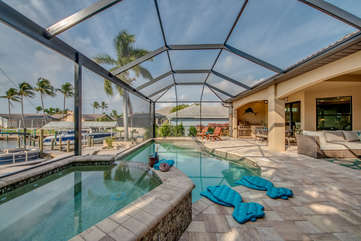 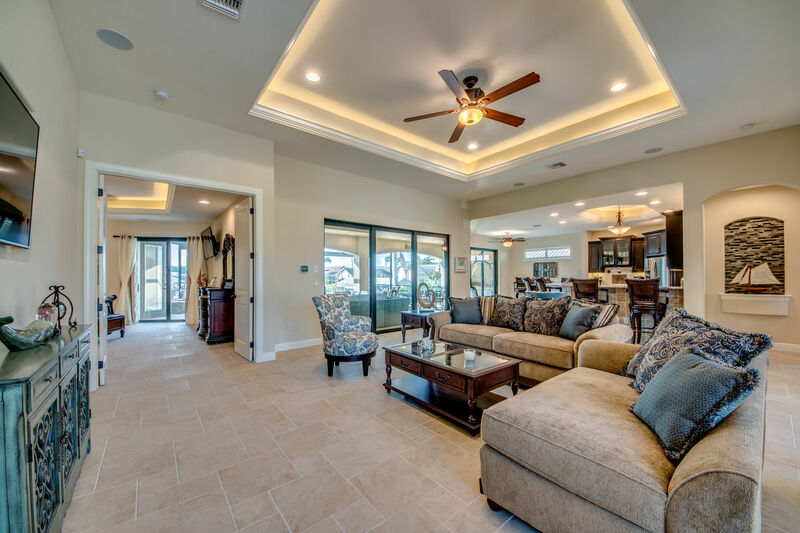 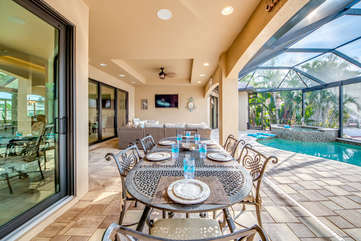 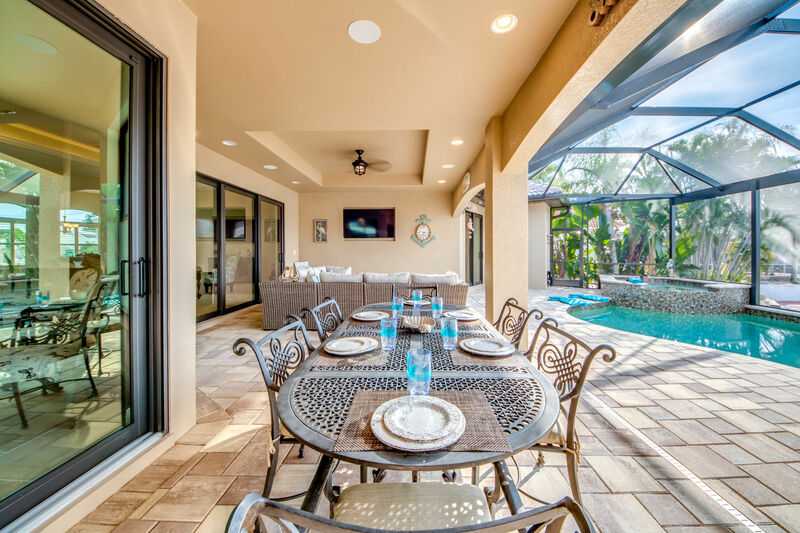 Florida living is what this home intended with plenty of outdoor seating, flat-screen TV viewing, spacious al fresco dining and the convenience of an outdoor kitchen area. 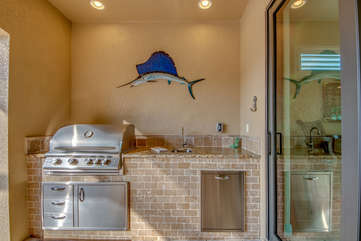 You'll spend lots of your holiday time grilling up your favorite meal, admiring the views of the water, watching the wildlife, and relaxing in the heated pool and spa. Are you a boater? 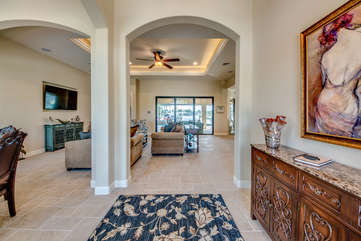 Well, this home beckons you to stay. 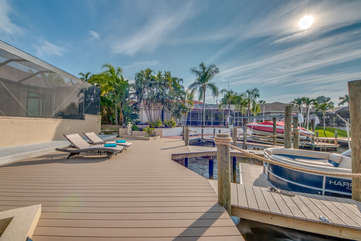 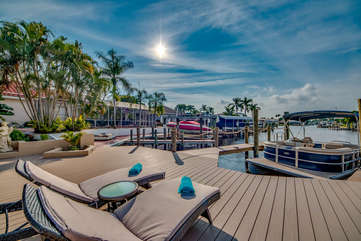 Bring your boat or rent a boat but boating and this home go hand in hand. 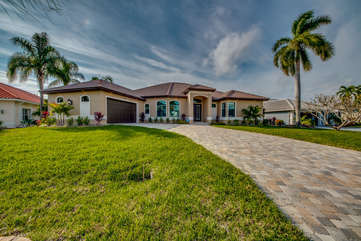 Located in a much sought after SW section of Cape Coral, just blocks from Rumrunners and the Westin. In no time, you can be boating into one of the many boat-in restaurants in the Cape Harbour Marina area. 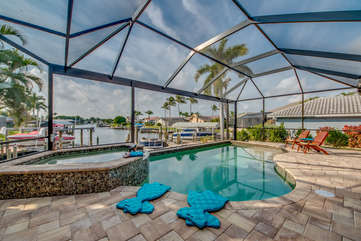 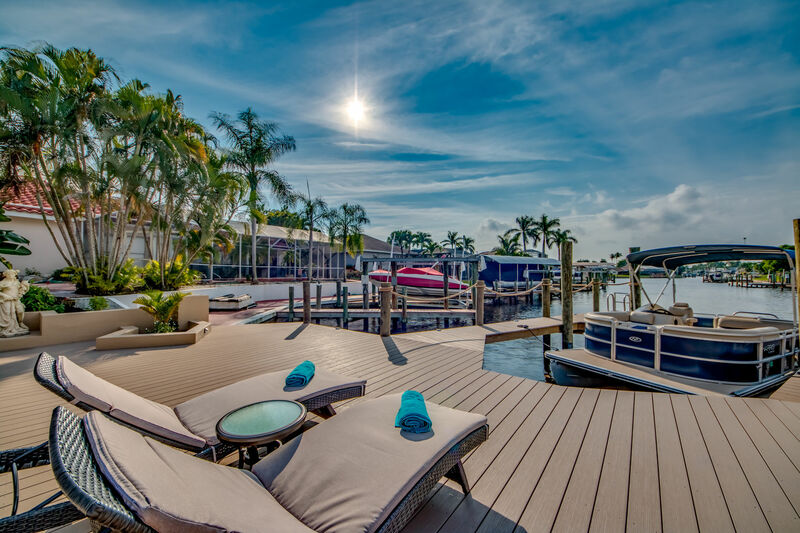 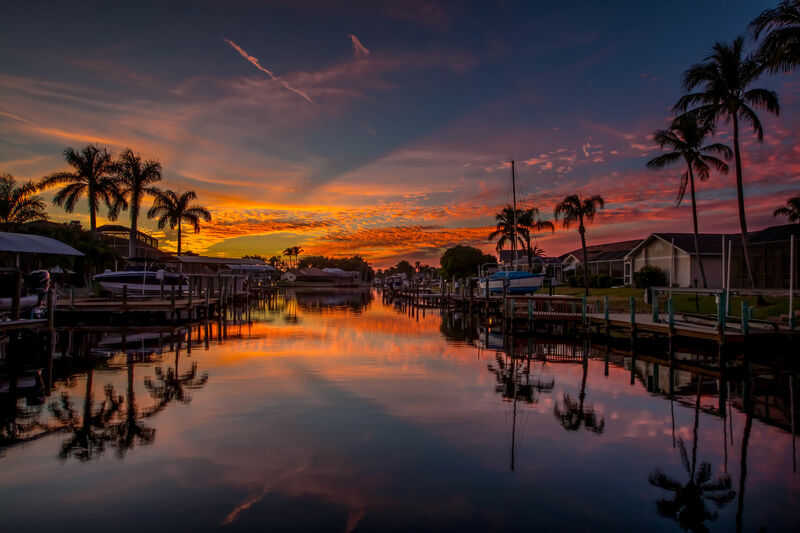 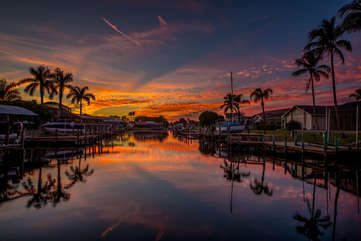 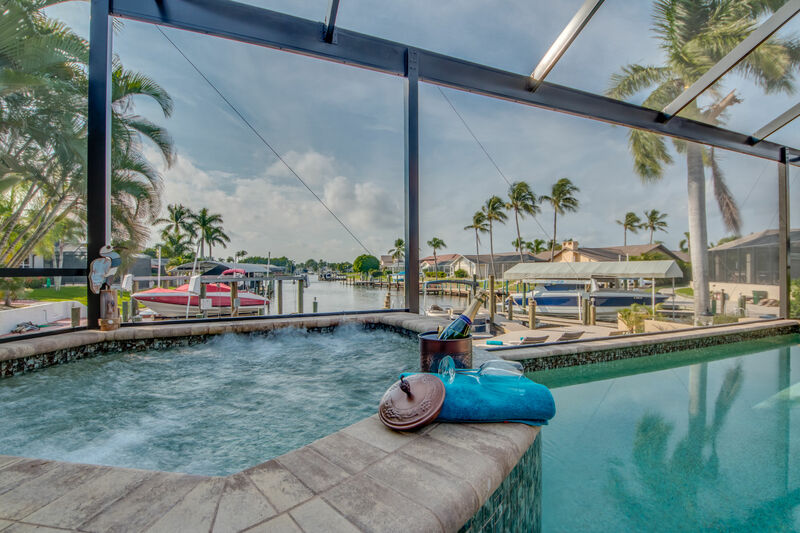 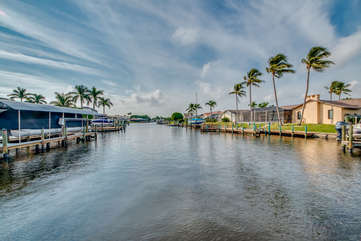 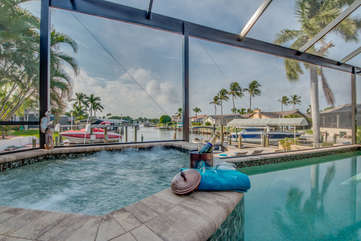 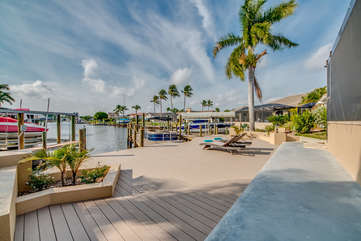 Want some excitement on the water, from the home you are quick to the Gulf of Mexico and to the beaches of Fort Myers, Sanibel, and Captiva. 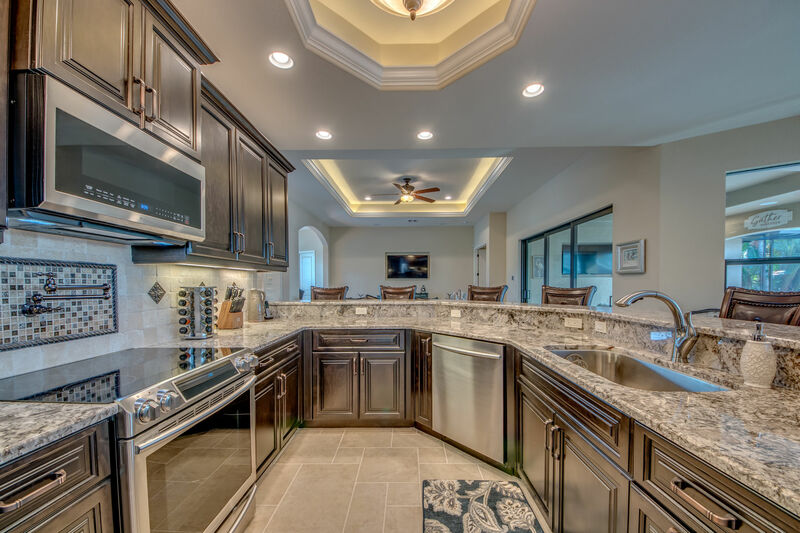 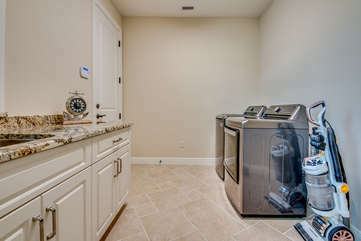 Inside the home, you will not be disappointed by the well-equipped kitchen offering granite counters, upgraded cabinetry, and stainless steel appliances. 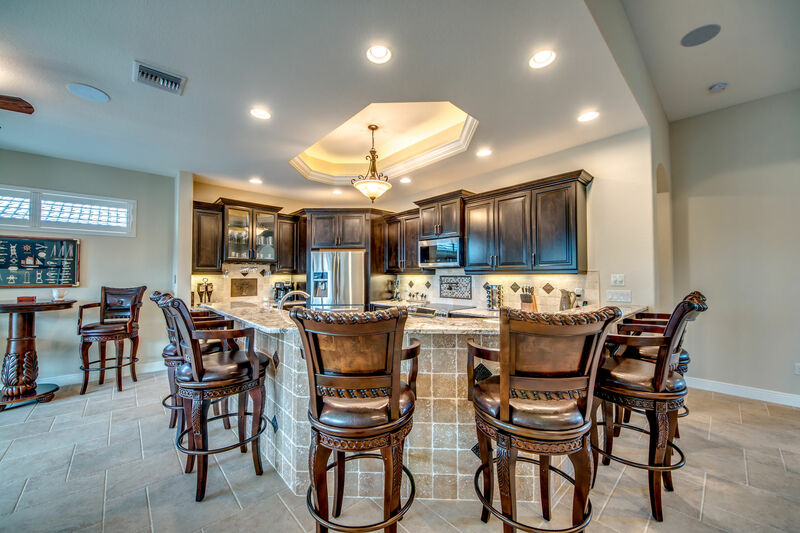 Your whole group can snack at the expansive breakfast bar. 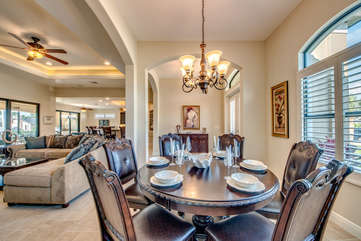 Also inside the home for those more formal sit-down meals, there is a formal dining area that seats 6. 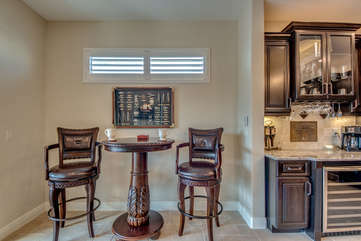 Additional seating is available in the bistro area adjacent to the kitchen. 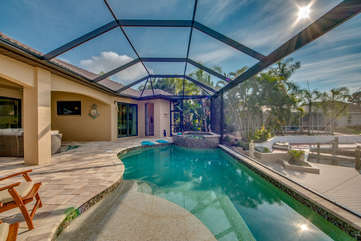 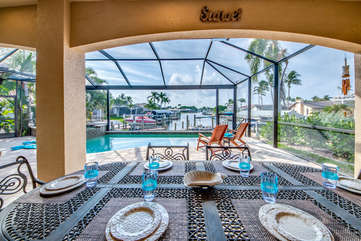 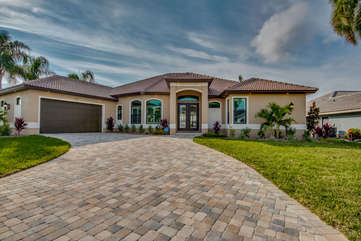 As typical of Florida design, this home offers open-concept living. 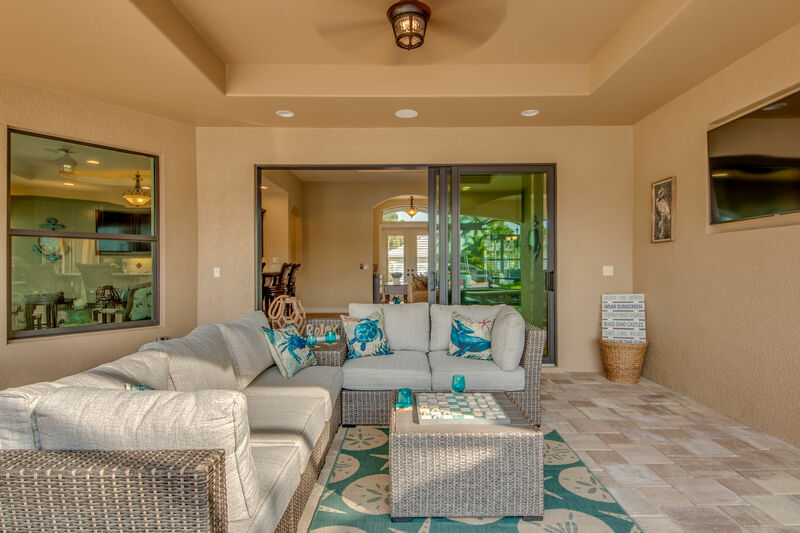 The spacious living room with an embedded flat-screen TV offers seating for all or open the doors to the pool area and then the inside joins to the outside as you move freely through the home and then out to the glorious pool area. 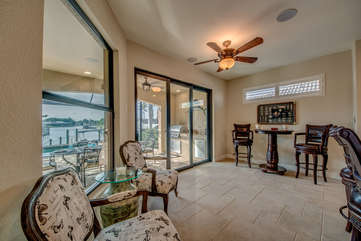 Several windows and doors allow precious views from inside the home overlooking the pool and canal. 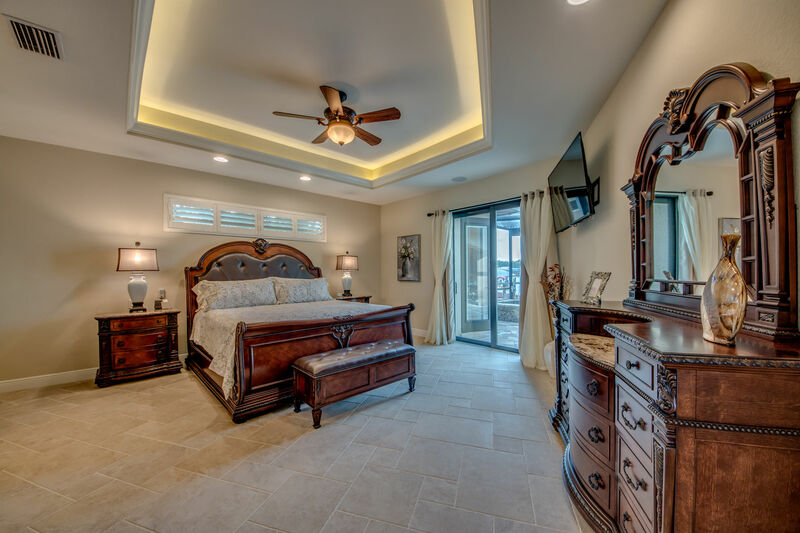 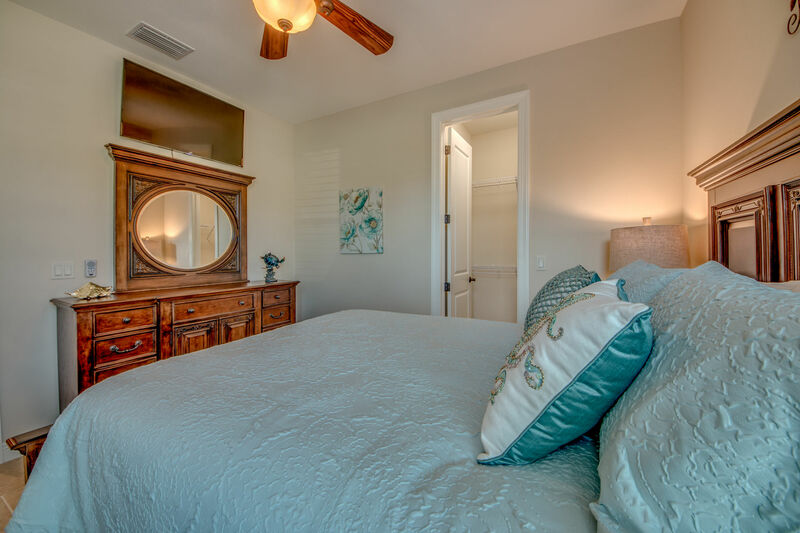 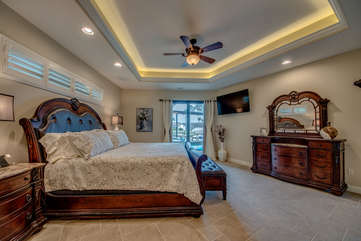 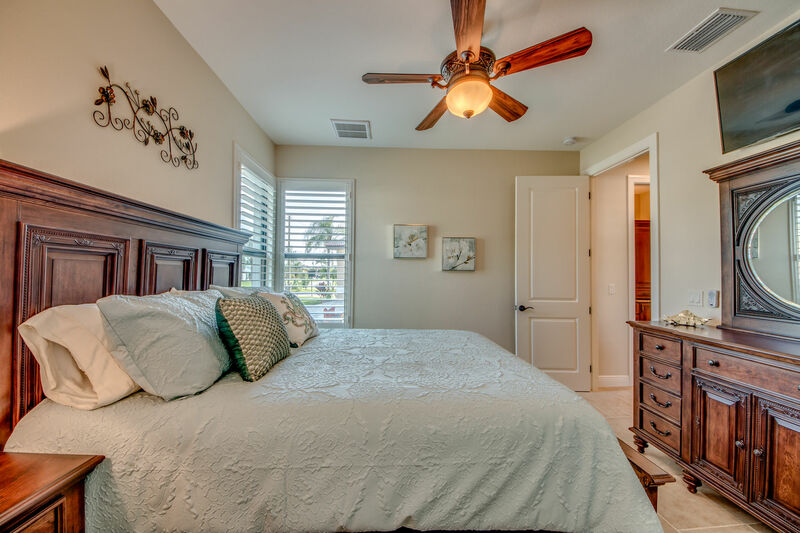 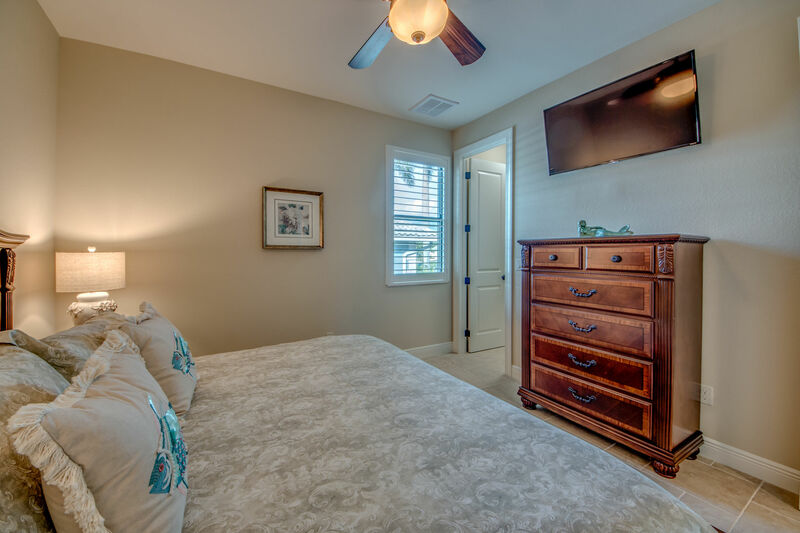 The impressive master suite will pamper you with a king-size bed, flat-screen TV, direct lanai and pool access, and plenty of linens and towels to keep you comfortable. 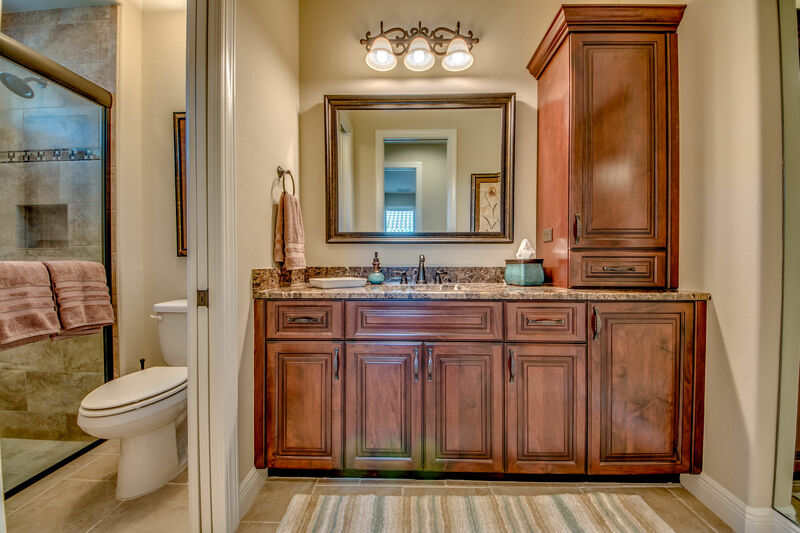 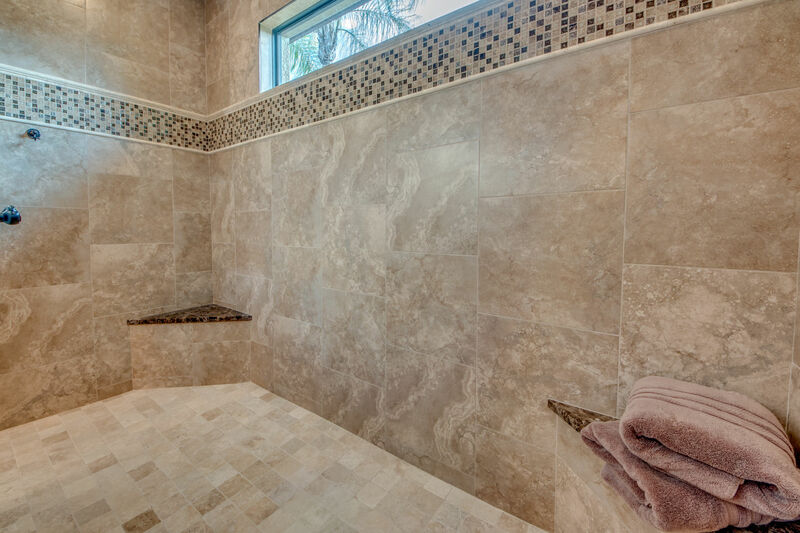 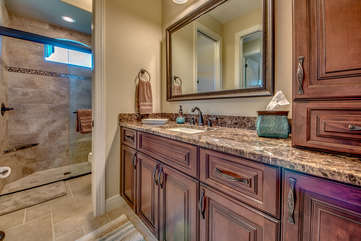 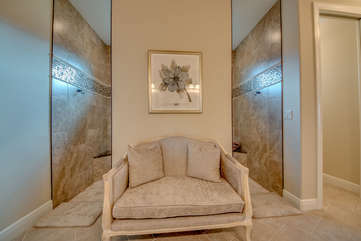 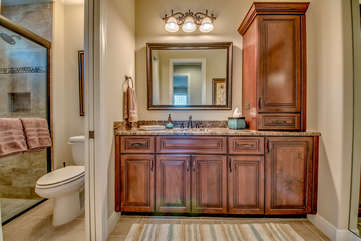 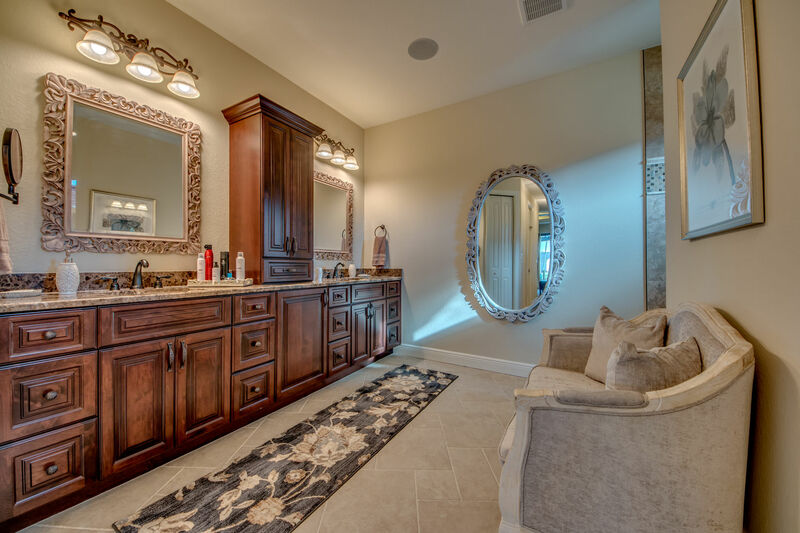 The ensuite master bath is fit for a king and queen with upgraded counters, cabinetry, and walk-through tile shower. 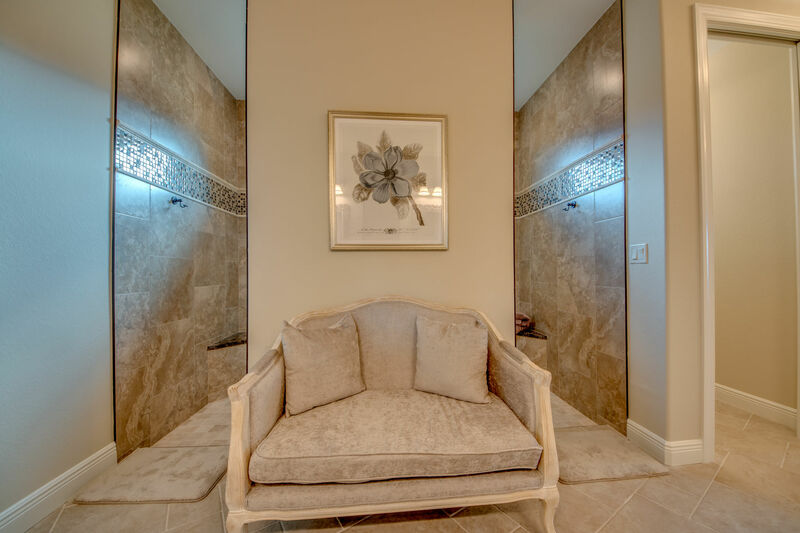 The bath is spacious and well suited to offer an oasis for rest and relaxation. 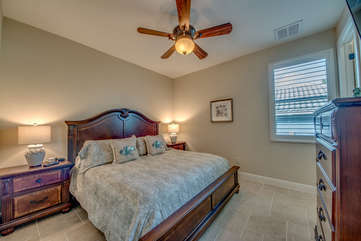 There is a king-size guest room and a queen-size guest room. 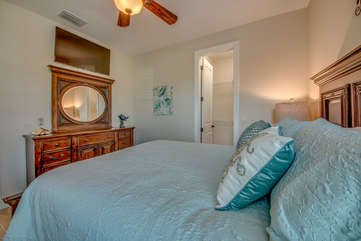 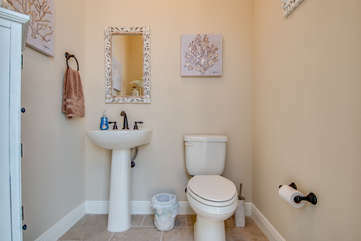 Both guest rooms are equipped with comfortable bedding, flat-screen TV, plenty of linens and towels and convenience to the full-size guest bath. 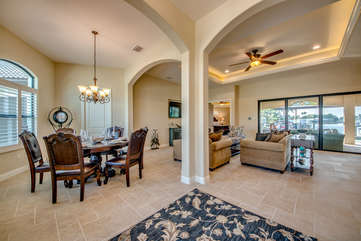 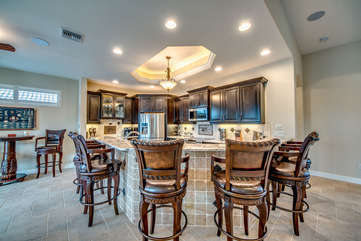 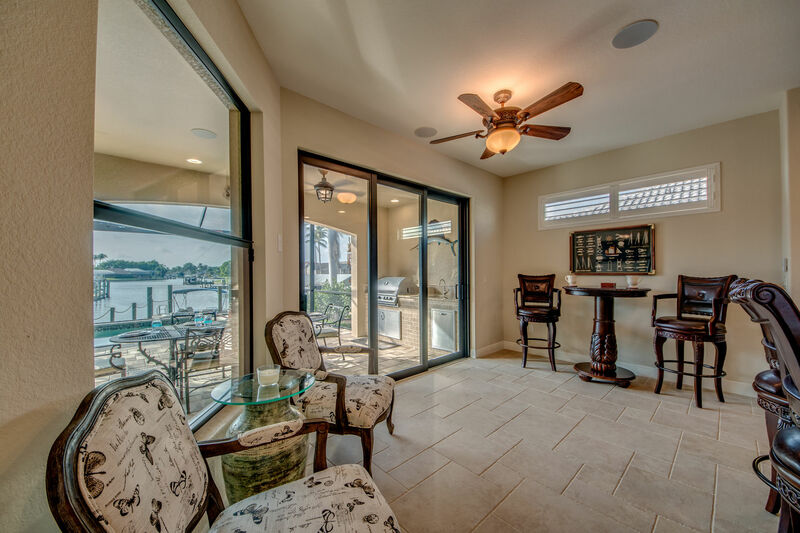 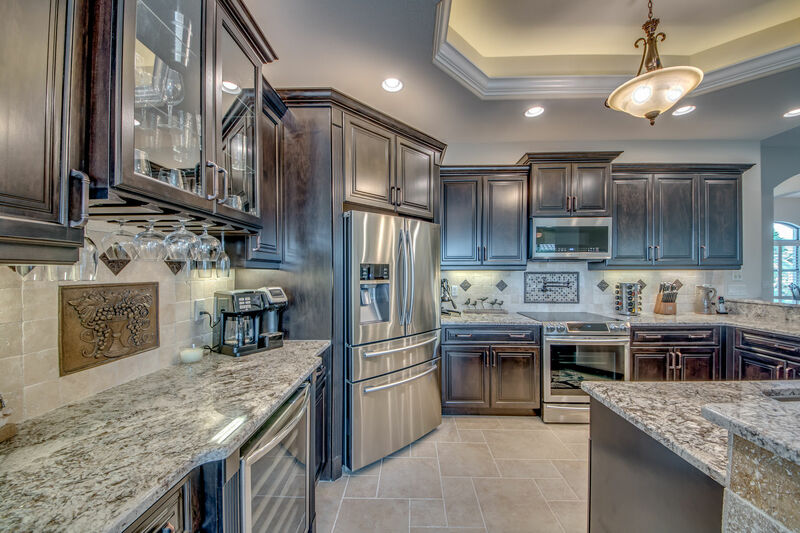 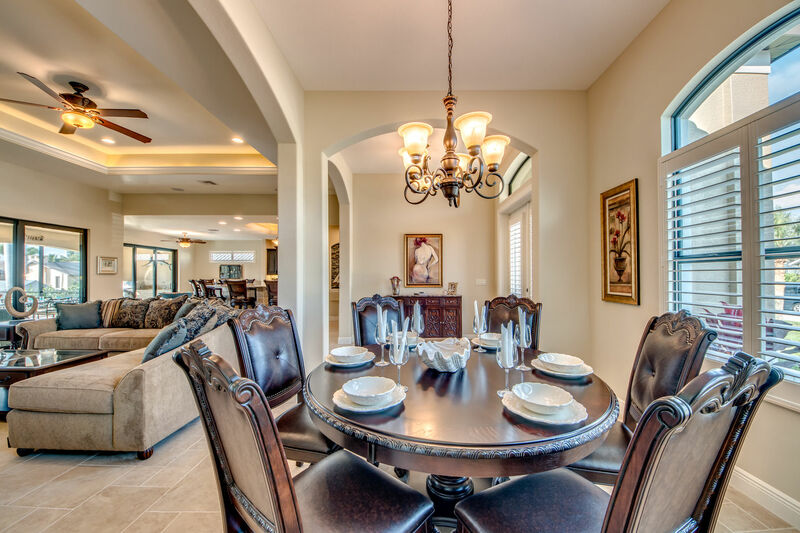 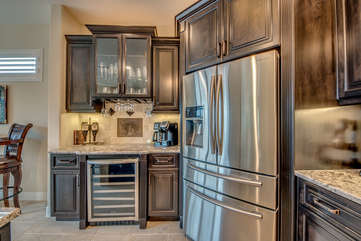 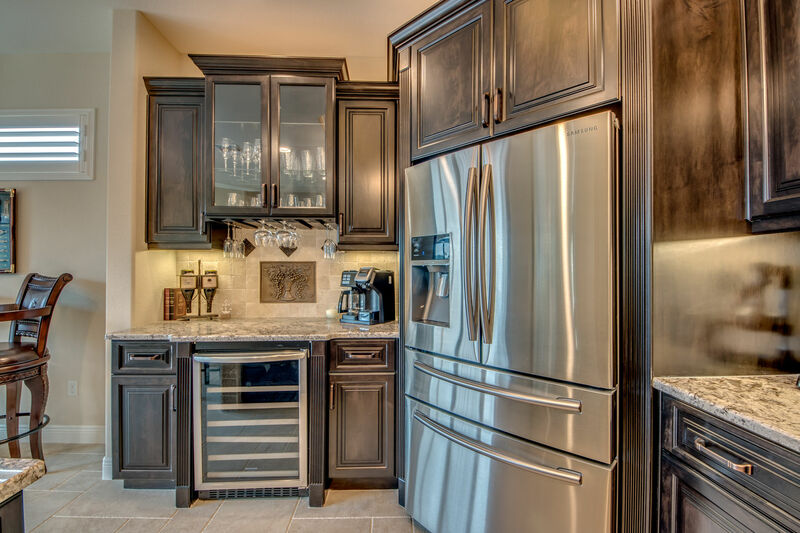 You and your group will relish in the new homes many comforts. 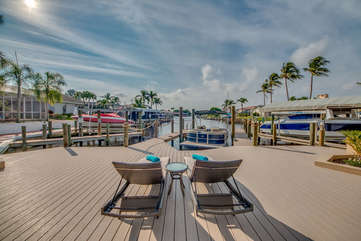 The location ideal, especially for those taking to the water. 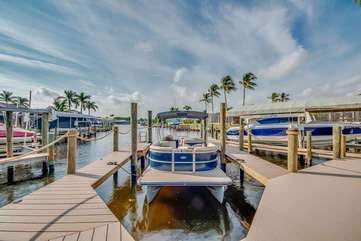 If you are a land-lubber not to worry the home will deliver an amazing experience even if you didn't bring your sea legs. 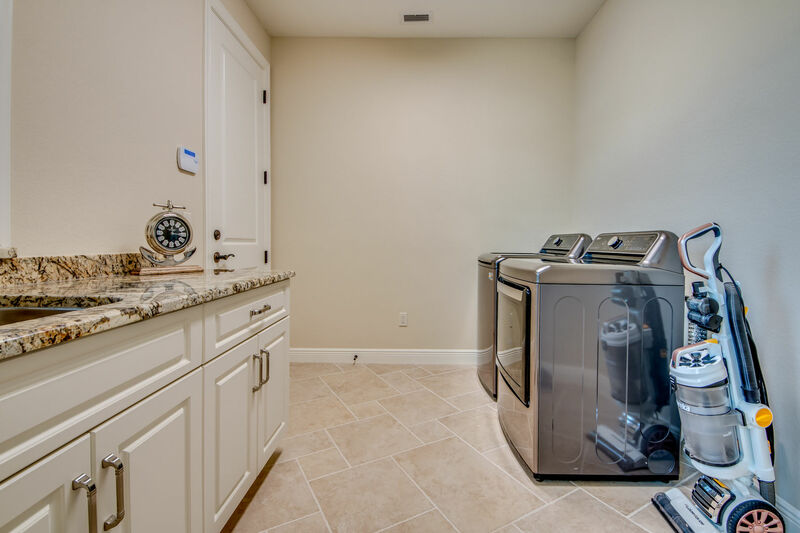 WiFi throughout the home, cable TV, linens and towels provided, a huge laundry room with a washer and dryer plus many more comforts to make your holiday perfect.